Want a stylish way to tell time? 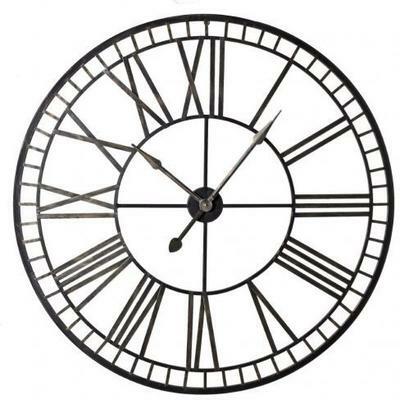 This Ornate Roman Numeral Wall Clock is the perfect choice. Perfect for creating drama inside your space, this clock is beautifully oversized so it can easily be seen inside your room. This one is made from durable iron metal topped with an antique black finish on the outside rim with stunning gold accents at the center area. There's a hook at the back which you can use for hanging onto your wall. This clock runs on AA battery so you won't need to worry about getting it up and working asap. Hang this in your living room, bedroom or even give it to a friend or family member. There's no doubt it'll create the drama that you long for.